I’m going to tell you to use Facebook Live. At first glance, you may wonder why. The simplistic interface, the so-so video quality, and the terrifying prospect of live commentary and reaction from your Facebook fans would seem to make the platform’s foray into live video a rough fit for your business. But Facebook is putting its muscle behind the videos, and that means you can ride the wave once you figure out how to use Live. The most appealing feature of Facebook Live comes down to one loaded word in the context of Facebook. That word is reach. Everyone’s talking about this reach, and not just because it’s massive—we’ve heard of videos posted to a page with 50,000 Likes reaching an audience of over one million people —but because of the context of what Facebook has been doing to organic reach. For the past several years, organic Facebook reach has declined by over 50 percent because of changes to the site’s algorithm, which means you can be producing rafts of great content that sink in the stormy seas of Facebook’s indifference. Because Facebook is excited about livestreaming—and beating video-friendly platforms like Periscope and Snapchat at their own games—they’re prizing that video content, which can lead to some really bonkers numbers. Going viral by design is an archaic notion in this day and age, but if your chat about marketing can reach over one million people and you can do something interesting and novel, you’ve got an outside shot at becoming the next woman with a Chewbacca mask. News organizations are increasingly turning to the platform as an inexpensive, effective way of sharing breaking updates, and getting live feedback on a broadcast. Think of your Facebook Live usage the same way: React to something major, give it an unscripted feel, and prize immediacy. In addition to the power of reaching more people, Facebook is has that mimics Periscope, but again leverages Facebook’s massive audience. Anyone watching a video is able to react to it in real time with Facebook’s small collection of in-house emojis (tears, hearts, smiley faces, likes, etc.). For those watching the video later, those reactions will be displayed in a timeline format at the bottom of the video, allowing those with short attention spans to zoom to what your previous audience considered the most interesting parts of the video. 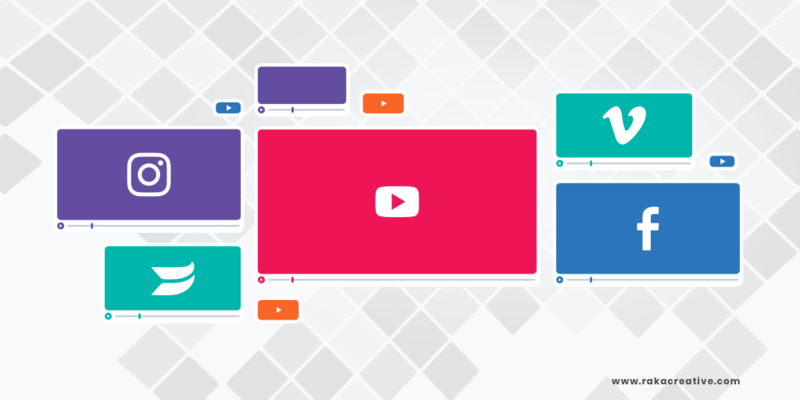 This means you have little control over how people will mark up the video, but you will have valuable insight into what your audience finds interesting by looking at which parts of each video they react to. Cool, right? Shoot for a longer video. The reach and the views increase as the video goes on, which is intuitive enough—who’s going to know to catch your 30-second video as it’s happening? If you can pull together a presentation, mailbag, chat, or skit that’s at least five minutes long and potentially as long as 30 minutes, you’ll find your reach increases exponentially. Don’t throw your standards out the window. This isn’t Snapchat, where a frontier mentality is the norm and your videos are (mostly) gone after 24 hours. Your Facebook Live videos will live on your page long after you’ve wrapped up recording, so keep your branding and approach for other media in mind. Think mobile. Most of your audience will be catching you live (or recorded) on a smartphone, so think small screen size when you record and make everything that’s going on easy to see and understand. Promote! The video can live on your Facebook page as long as you want it to, and it’s easy to embed on to your website, share on other social channels, and even email to your user base, making it an inexpensive campaign for your business. So go forth and give Facebook Live a try, and enjoy that potentially huge reach. You’re gonna be a star, kid. If you’re looking for other ways to give your social media presence (and digital marketing efforts in general) a boost, we can do that!